← From all of us to all of you!! Trust me you will be addicted to these as an idea once you see what can be done!! 1. Lester Walker’s “Living Cube”– This cabin, one of my favorite’s since I was a kid, is also pretty fully hashed out in Walker’s book “Tiny, Tiny Houses”- a book you’ve probably seen and heard me post/talk about many times- it was THE BOOK that got me addicted to tiny housing, when I received it for my tenth birthday. I linked it, and a few other very noteworthy tiny books here…. 2. 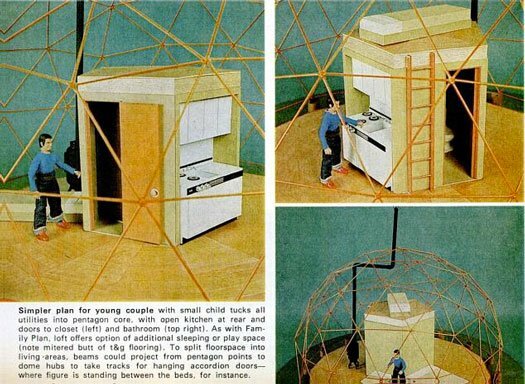 POPULAR SCIENCE DOME HOME– I just LOVE the old art, and layout of the Popular Science, Family Handyman, and Family Circle plan sets of old. This one is a great example, and while I’m not overly enamored with dome homes myself, there’s no denying that this is a cool little idea for a home, and that domes still do have their followers and fans. This one buds for you! 3. 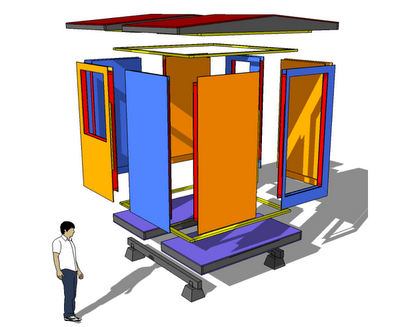 Michael Janzen’s Free Pre-fabbin’ Cabin (We also have a link to some other REALLY cool cabin plan sets from Michael down in the lower RIGHT HAND column of this blog). Here’s a really cool free set though…easy to build, and good lookin’. Above: The Writer’s Retreat- its not the one you get free plans for, but I believe the sell plans for this VERY VERY affordable. Its one of my all-time favorite tiny cabins. 5. 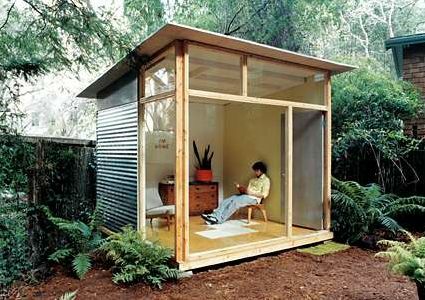 Michael Janzen’s TINY FREE PALLET HOUSE– pretty self explanatory….Pallets are EVERYWHERE, so why not put them to use? 6. EDGAR BLAZONA’S MD-100 Modular Shelter– We’ve posted it here before, but here is a link to the very thorough plans from Mr. Blazona- a really modern, simple, and fun cabin, that can be built for approximately $2000 or so by today’s prices. This plan set originally debuted through Readymade Magazine. 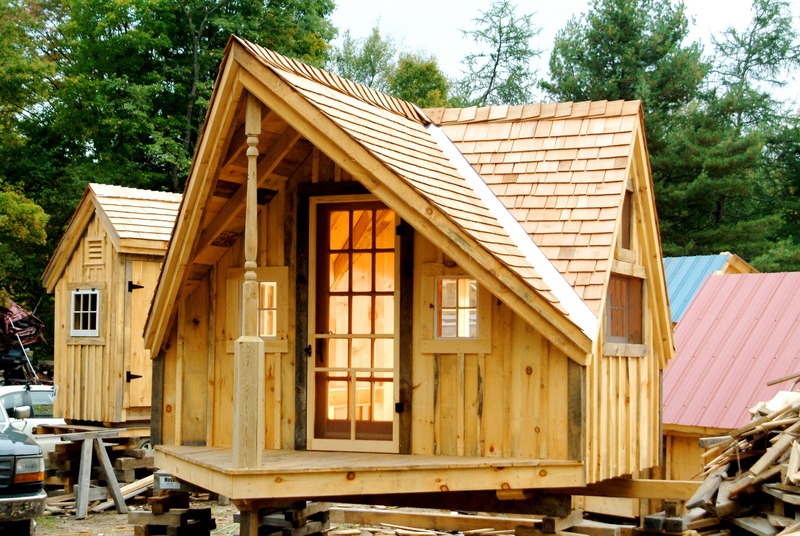 Again, if you know of more FREE plans for cabins, sheds, of tiny houses, post them in the comments section below and I’ll eventually archive them in a running list for all to see/enjoy. I knew I needed a bottom for the molding of the deer.